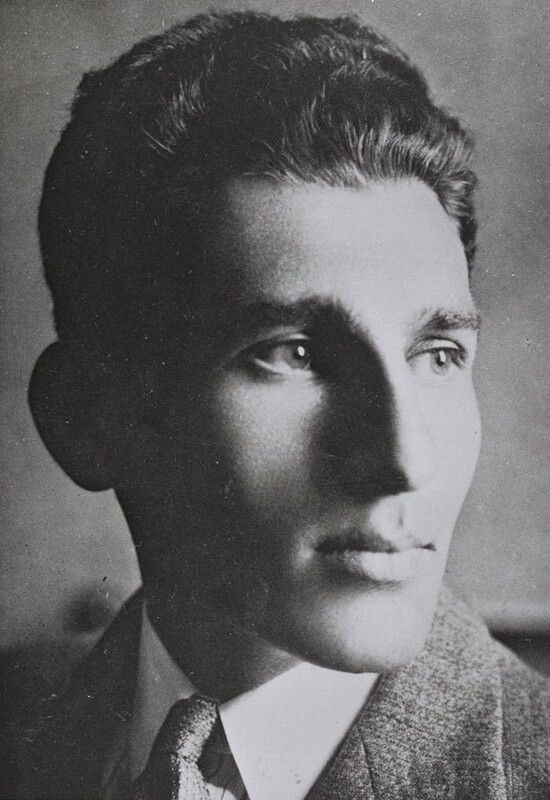 Avraham Stern (underground name Ya’ir) was born in Suvalki, Poland to a learned Zionist family. He moved to Eretz Yisrael [Palestine] in 1925 and studied briefly at the Gymnasia in Jerusalem before entering the Hebrew University. An outstanding student of the humanities, Stern won a scholarship to study classical languages and literature at the University of Florence. He returned to Eretz Yisrael in 1929 and joined the Haganah, and not long after left his studies to devote his energies entirely to fighting for Jewish independence. Stern was notable for his fanaticism in the armed struggle for Jewish independence, which, he contended, could succeed only if conducted by an underground force independent of all legal bodies (even that of *Jabotinsky and his movement). Because of his doubts that the Allies would win World War II, he tried to establish contact with the Italians and the Germans and to persuade the Axis to adopt a pro-Jewish policy in Palestine. In 1931, a group of Haganah fighters, rejecting what they deemed was moderation and restraint in the fight for Jewish independence, broke away from the Haganah and formed an armed resistance movement of their own, known as the Irgun. Stern, whose views had become much more militant following the Arab riots of 1929, became an active member of the Irgun. He took on the underground name of “Yair,” in tribute to the commander of the zealots at Masada, Eliezer Ben Yair. Stern viewed the British, more then the Arabs, as the primary enemy of the Jews and the principal obstacle to Jewish independence. He advocated an armed struggle against the British. With David Raziel, he compiled a manual on the use of the revolver, the first of its kind in Hebrew. He also wrote the poem “Anonymous Soldiers” (1933) which became the anthem first of the Irgun, and later, of Lehi. A collection of Stern's underground poetry was published posthumously. In 1937, following the Arab riots, the Irgun split, with many of its members returning to the Haganah. Stern and others who refused to accept Haganah leadership remained in the Irgun under the command of Jabotinsky and continued their militant activities. Stern went to Poland to establish Irgun training courses there and to obtain arms. Returning to Eretz Yisrael, he was imprisoned together with the other members of the Irgun command by the British from August 1939 to June 1940. Stern insisted that the struggle against the British remain independent of any political linkage, even to Jabotinsky's Revisionist party. He also vehemently opposed tempering the resistance in any way, and thus, in August, 1940, when the Irgun decided to suspend their attacks on the British during World War II, Stern formed a radical splinter opposition group, known as Lehi, an acronym for “Lohamei Herut Yisrael.” Others referred to the group as the Stern Gang. He composed a manifesto for the new organization entitled Ikkarei ha-Teḥiyyah ( The Principles of Revival ). He maintained that, even in the face of the Nazi threat, it was the British who posed the major threat to the Jews. Doubting the Allies could win the war, he advocated an alliance with Nazi Germany and Fascist Italy, believing these ties would assist the nationalist effort in Eretz Yisrael. Stern’s extremism, coupled with several robberies committed by members of his group, earned Lehi the resentment of many Jews in Eretz Yisrael, as well as the British. By 1942, the British had offered a reward for Stern’s capture. On February 12, 1942, the British discovered Stern’s hiding place in Tel Aviv and killed him. The building is now a museum of the Lehi movement. Jabotinsky Institute in Israel, Avraham Stern (Ya'ir) (Heb., 1956); D. Niv, Ma'arekhot ha-Irgun ha-Ẓeva'i ha-Le'ummi, 3 (1967), index; Loḥamei Ḥerut Yisrael, 1 (1959), passim; I. Eldad, Ma'aser Rishon (1950), passim; J. Banay, Ḥayyalim Almonim, Sefer Mivẓa'ei Leḥi (1958), passim; Yellin-Mor, in: Etgar, no. 23 (1962), 4–5; W.O. von Hentig, Mein Leben – eine Dienstreise (1962), 338–9. Photo courtesy of the Jabotinsky Institute, which takes no responsibility for the text.